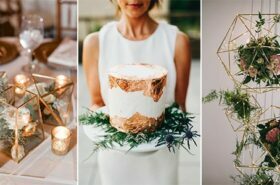 If current wedding trends are based on one idea, it’s juxtaposition. 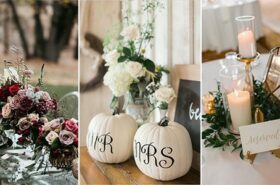 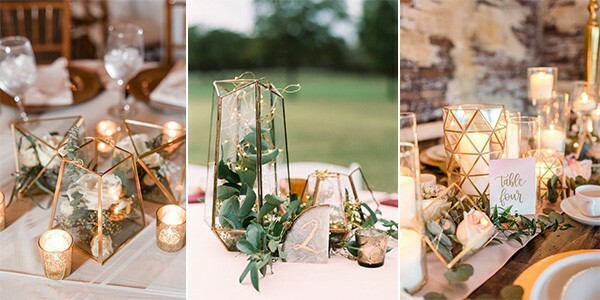 Couples are all about showcasing the different facts of their personality with contrasting styles, which makes for some truly unique wedding designs! 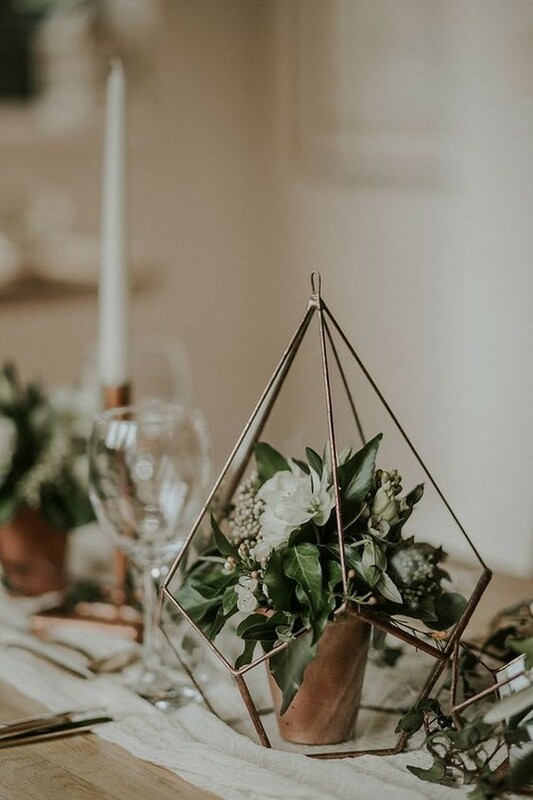 Where romantic and lush botanicals are a major statement in recent weddings, just as often you see them accented by geometric décor elements. 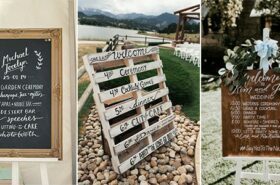 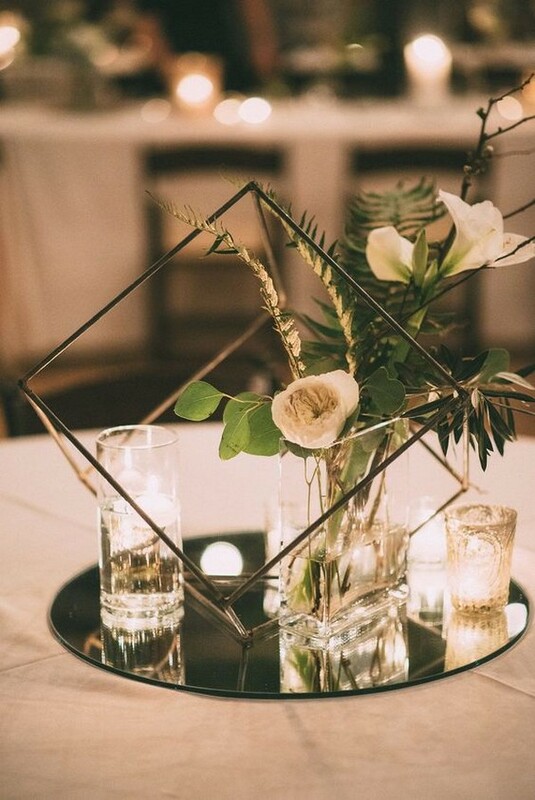 The addition of a little geometry into your wedding look provides a bit of an industrial look with straight lines and interesting angles. 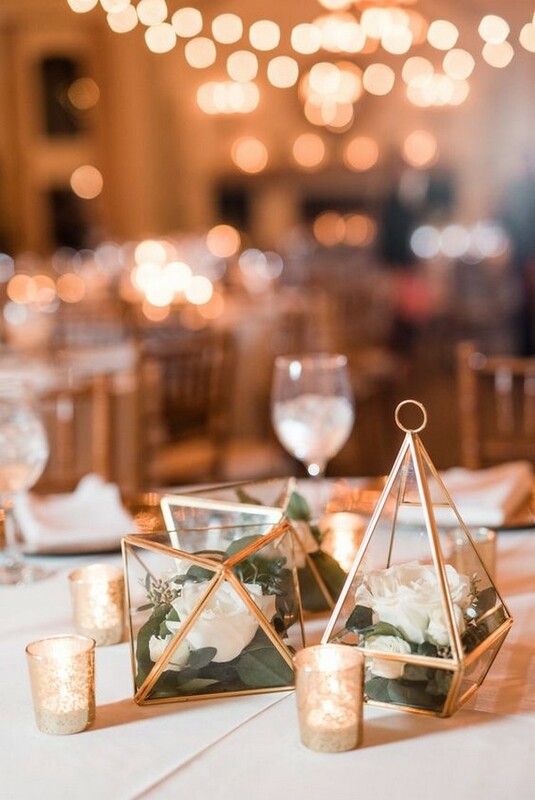 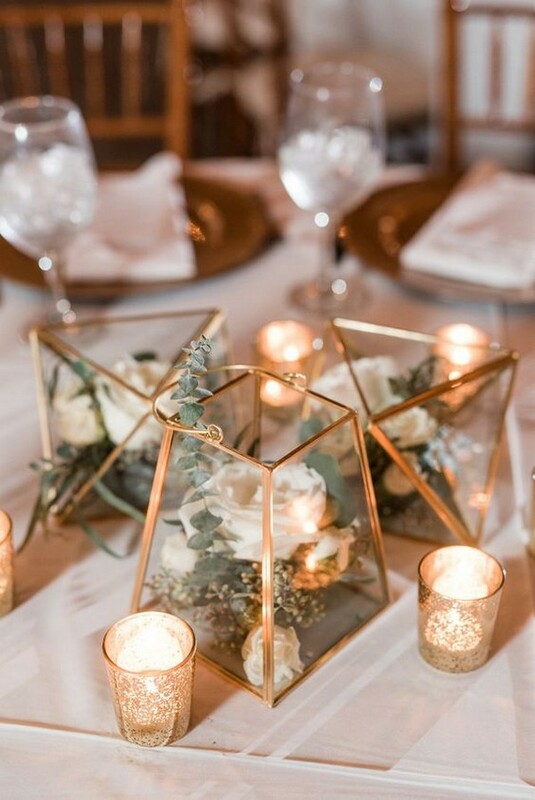 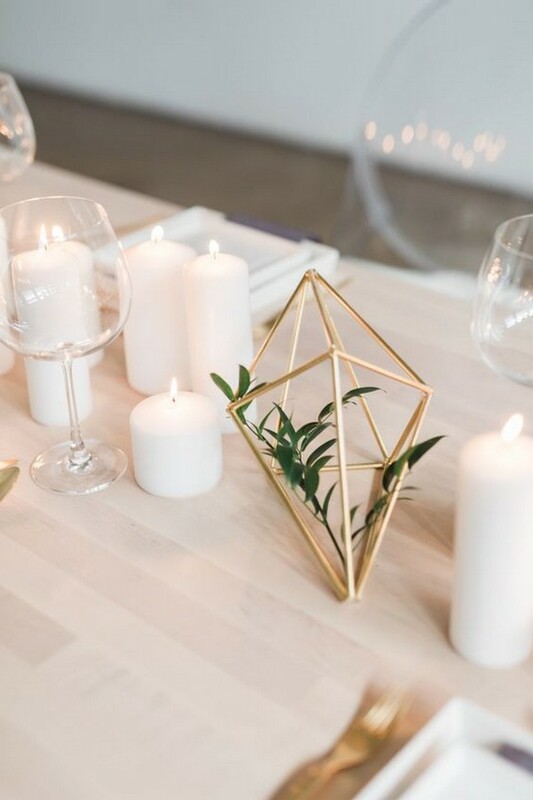 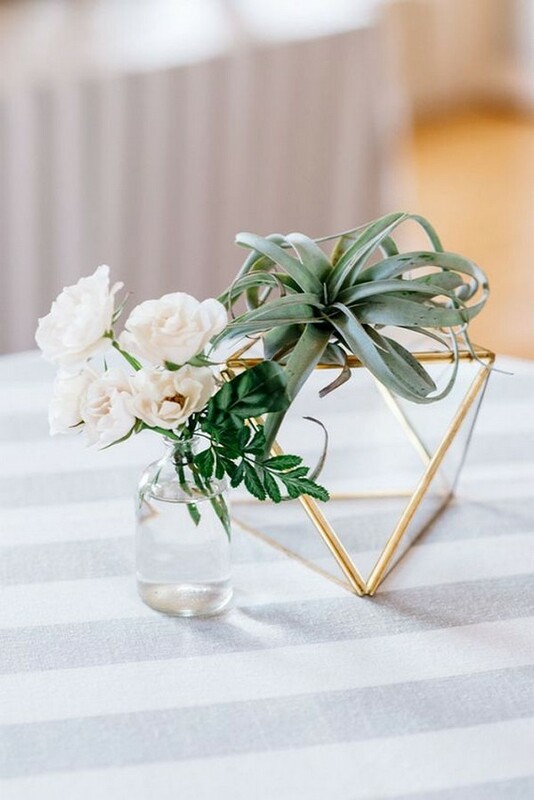 Love the idea of geometric wedding décor? 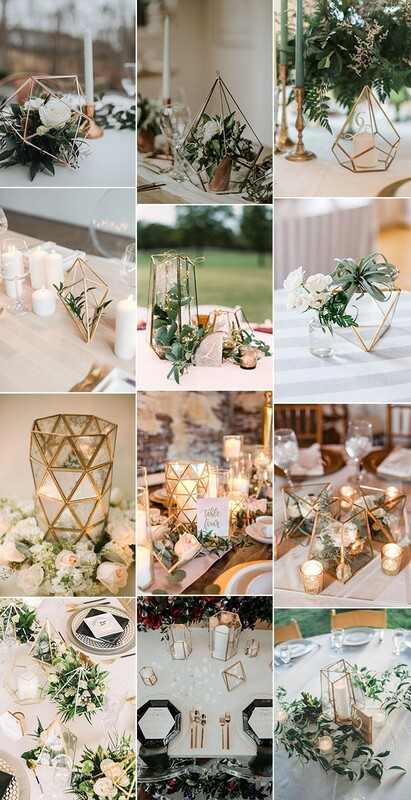 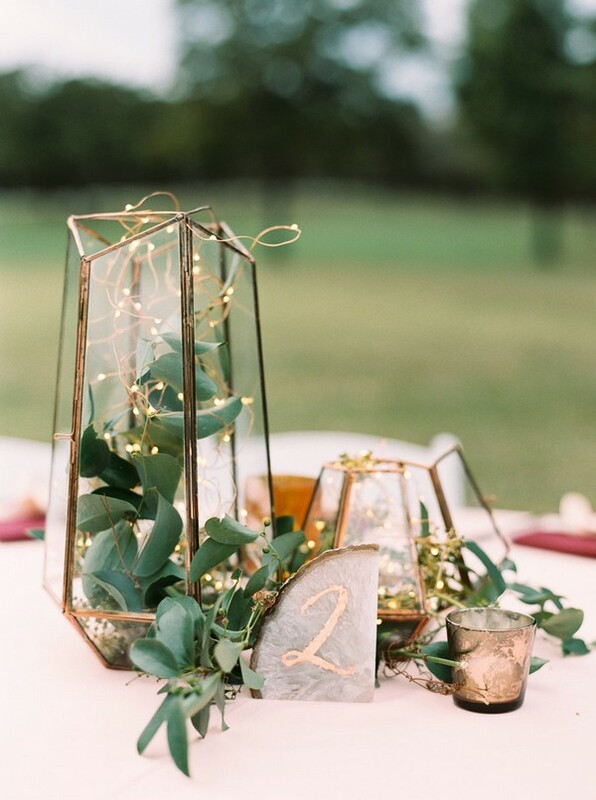 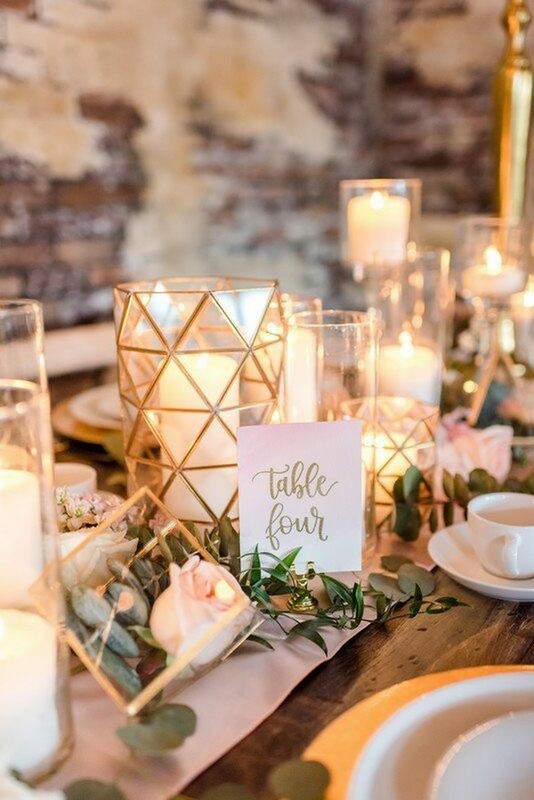 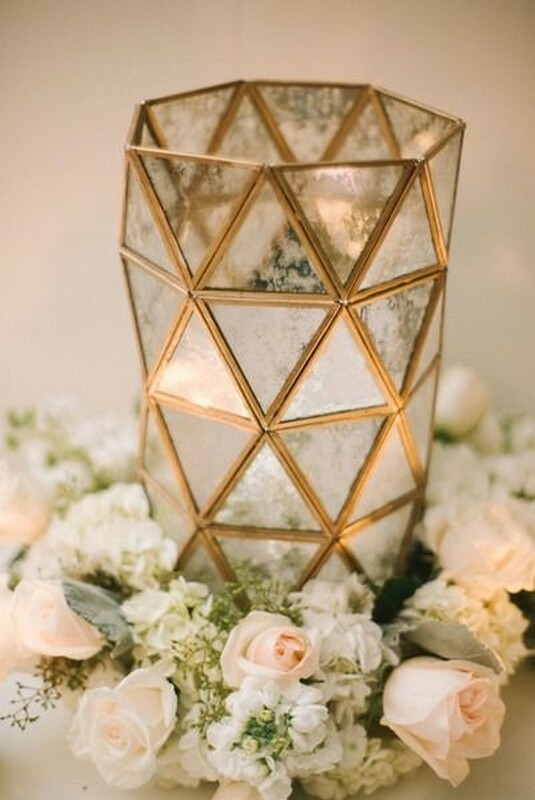 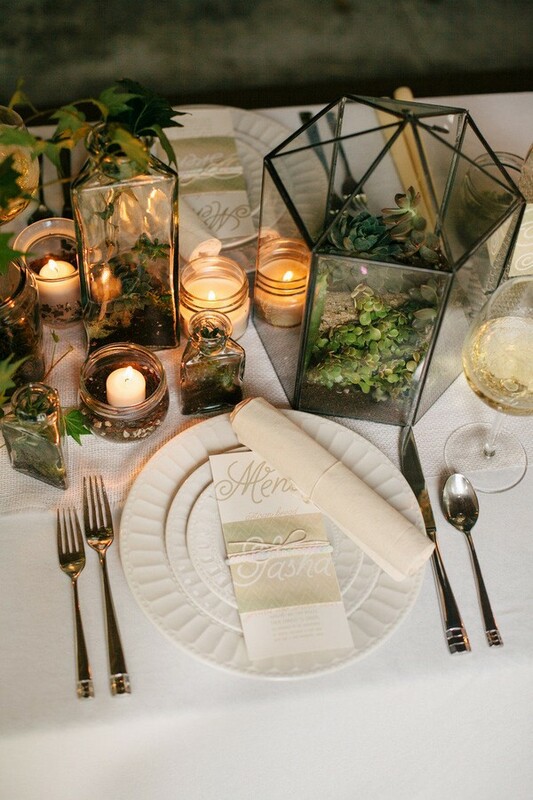 Get inspired by these stunning geometric wedding centerpieces and shop similar options!